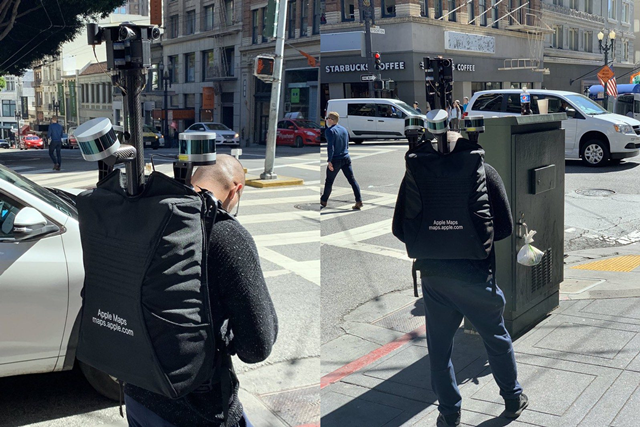 A lot of backpack-wearing Apple employees are noticed traveling by foot this past few weeks for the Apple Maps app. This is because Apple is now collecting location and direction data. And they do this with cameras and sensors attached to their bags. The company will also be deploying its mapping cars over the next few weeks throughout U.S.A. and U.K. Following a disastrous release of Apple Maps in 2012, Apple has redoubled its efforts in giving its users a completely reliable map on their fingertips. This includes regular app updates so that roads and building information are always up to date. Aside from the mapping cars and pedestrian-based data gathering teams, Apple Maps is also getting their data from satellites and iPhone devices. But Apple assures users that their privacy will not be compromised. Also, the data collected will not be connected with an individual in any way.